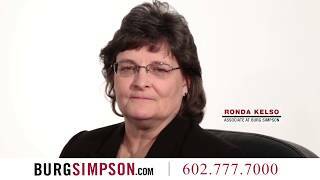 If you are engaged in a banking, lending, securities, or other investment dispute, Burg Simpson can help you resolve it. Our Colorado commercial litigation lawyers have decades of experience in litigating financial and investment disputes. We have the experience and resources necessary to help evaluate and resolve the dispute in a cost-effective manner, whether through negotiated settlement or trial, if necessary. Disputes over assets – whether its stocks, bonds, marketable securities, commodities or trusts – can make or break even the strongest businesses. We pride ourselves in offering both national and international corporations, regional and local businesses, as well as individuals, the very best legal representation when a business or commercial disputes arise. We handle routine conflicts as well as the most complex of litigation. If you need legal help, reach out to a Colorado corporate litigation attorney at Burg Simpson right away by calling 303-792-5595. Stock distribution: Disagreements over a company issuing stock frequently center on the subject of price, but conflicts can also arise over how that stock is distributed, too, among other things. Fund access: Business partners frequently clash over the ability to access certain corporate assets. Disclosure: Corporate investments have to be handled carefully, and only after full disclosures are made to investors. Otherwise, companies run the risk of exposure to allegations of fraud. Foreign investments: Domestic investments are complex enough, but investing overseas can add a layer of complications that intimidate most businesses – and their attorneys. Fiduciary duty breach: Fiduciary duties can exist in a variety of business relationships. Simply put, when a party agrees to act for the benefit of another, they become involved in a fiduciary relationship. If you need assistance dealing with any of these corporate disputes, you need the assistance of experienced legal counsel to help protect your interests and those of your business. 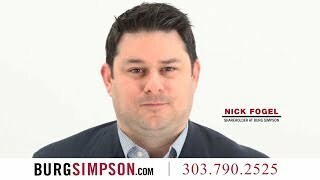 Call a Denver corporate litigation lawyer at Burg Simpson immediately at 303-792-5595 for help. A breach of contract occurs when any party fails to perform any term of the contract without a legitimate legal excuse. Breach of contract is one of the most frequent reasons for lawsuits. Typically, these disputes can be resolved if the parties can agree on a contract modification. The statute of limitations on contract breach claims can vary wildly, depending on the circumstances. Generally speaking, Colorado allows three years for a breach lawsuit over a written contract, two years for an oral agreement, and two years for tort actions stemming from a breach of contract. If you are involved in a dispute over a legal agreement, whether its employment contracts, non-competes, or buy-sell agreements, please reach out to the Denver corporate litigation lawyers at Burg Simpson by calling 303-792-5595 now. 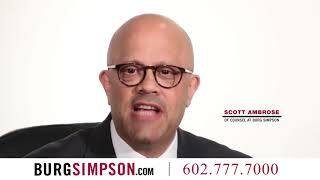 If you need strong courtroom advocacy in a financial or investment dispute, the Colorado corporate litigation attorneys at Burg Simpson are here to help. Contact us today at 303-792-5595 to speak with an experienced trial attorney.